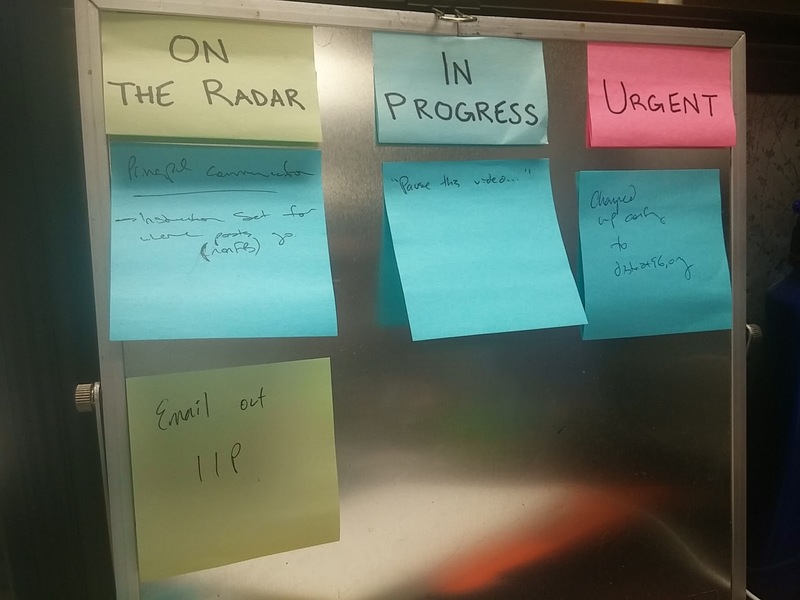 I used to organize my to-do list at work using the kanban approach to project management. It provided a sound workflow...trust me, it was great. Problem was, it wasn't collaborative. Also, I managed to acquire a great many raised eyebrows when I walked into a meeting with my post it notes and mini whiteboard. As the Instructional Technology Coordinator in my district, I did some reflection and decided I needed to set an example and use a tool that can do the same function but would be more dynamic. Enter Trello. It does exactly what I need it to do and has the added features of making my boards of cards collaborative and infinitely expandable. Of course, after sharing this resource with other teachers in the district, we immediately began ways of using it in the classroom. 6th graders are using it for categorized note-taking prior to creating a fictional autobiographical letter. 7th graders are using it to create pro/con lists of cards to prepare them for their debate on a topic of their choice. 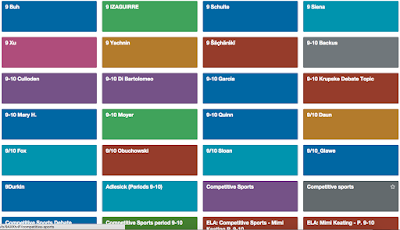 Many students chose to create boards for themselves outside the scope of the project to assist in their day-to-day organization (online student planner, etc.). 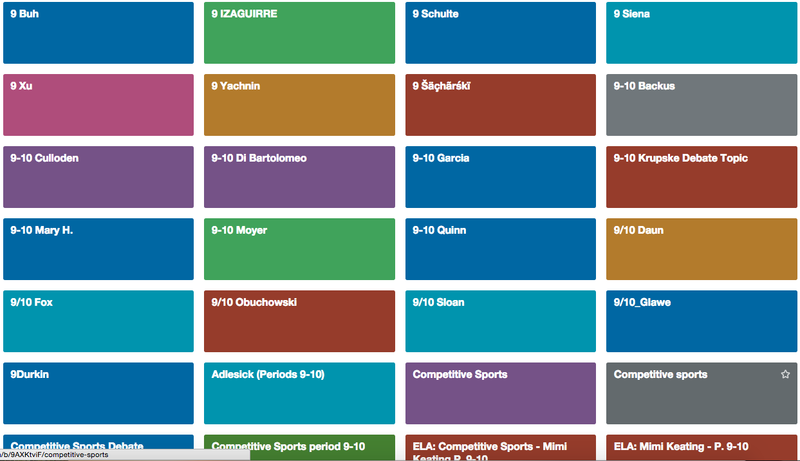 If you decide to try using Trello in your class, here's a tip: create a Trello team for each period you teach. Provide the invite link to the team in Google Classroom. Students click on the link and then sign in with Google. Otherwise, any board a student shares with you will be dumped into your general "My Boards" section and will be a nightmare to manage.